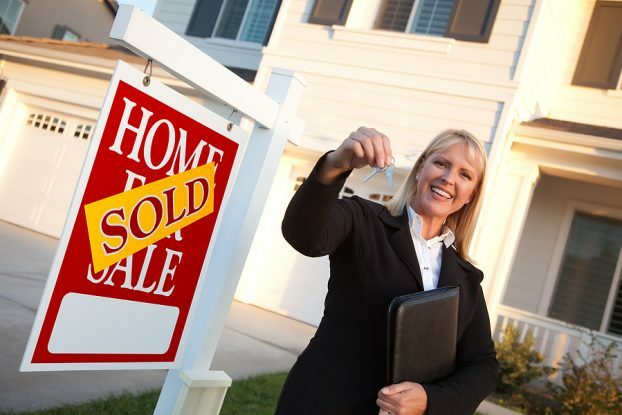 Even as a novice in the industry, any residential real estate agent can sell a property. It is not as hard as many people make it appear. Yes, certain properties need a certain level of expertise, but the truth is that most of the time anyone can get the job done. So long as you understand the industry, excellent, professional and consistent marketing for all properties should help you seal several deals and list new property annually. As with any other industry, correct packaging, presentation and communication of what you have to offer cover the basics. Additionally, always keep the numbers in mind. Photographs are great for appealing to the visual eye, but for specific properties, professional rendering and sketches bring out the features better. Even if the building is not complete on the exterior, such as painting and landscaping, one can easily embellish these aspects on the sketch. Sketches also play well on black and white newspapers because they appear crisp, clear and present well even with the possibility of a smudge. For buyers and agents to quickly locate your property, using property-specific websites comes in handy. One should, therefore, come up with a website for each particular property to appeal more to potential clients. Each of the properties should have a specific web domain and address. This contributes to the professionalism that you as an agent is bringing on board. Quality does not come cheap in any given field. No matter the price point of any given listing, always use professional photography. Photographs have the ability to draw people towards your property or send them away. Professional photos can be used on any marketing platform whether online or in print media such as fliers, brochures, editorials, postcards, newspapers, etc. As a residential real estate agent, you also need professional photographs for maintaining a property library for future marketing purposes. High-quality advertising significantly contributes to your brand as the go-to guy as a real estate agent. If you’re seeking to stand out of the pack, you cannot afford to compromise on your branding. Using professional photographs for advertising and property library boosts your image to future clients. With the growth of the internet age and online platforms such as social media, one may be tempted to overlook print media as a residential real estate agent. It is, however, crucial to note that creating market reports of just listed or just bought properties for a given neighborhood or creating brochures full of image-rich and colorful brochures serve specific clientele who may not be going online to look for property. Additionally, for-sale property signs should only be on glossy paper which contributes to the aesthetic of the property. Your branding, whether online on print media should be consistent, only consisting of quality work. One cannot avoid the internet space in this day and age. From social media sites, websites and even blogs, as a real estate agent, you have many online avenues of marketing your services and for building your presence in the real estate industry. The easiest way of reaching the masses nowadays is through a strong online presence, therefore, get your online branding right from the get-go. The possibility of people also sharing your work also helps you get noticed. These come in handy for those dealing in luxury homes with features such as swimming pools, tennis courts and even ballrooms. Twilight tours for property agents or even an evening party with potential clients will help you meet more clients and help you market it more effectively. Not only will this play in helping you sell the current property you have, but it will also attract future business for you.